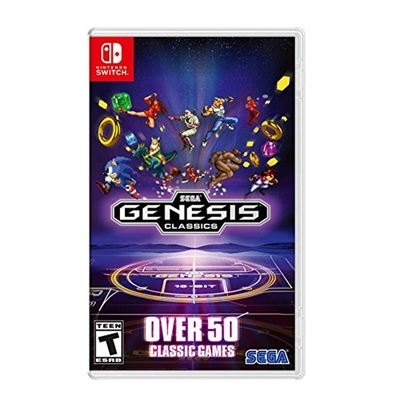 SEGA Genesis Classics Switch -- Retro English. SEGA's collection of Genesis classics comes to a new generation of consoles and players. Over 50 titles across all genres from all-time classics like Sonic and Streets of Rage 2 to deep RPGs like the Phantasy Star series; arcade action shooters beat'em ups puzzlers old favorites and hidden gems. New features bring modern convenience to the classics. Save your game at any time rewind those slip-ups or customize your controls. Earn bragging rights with online multiplayer and achievements. Exclusively for the Nintendo Switch players can now compete in same screen local coop mode and use each Joy-Con individually if desired. This item cannot be shipped to APO/FPO addresses. Please accept our apologies.